LOVE is part of the new range of padded chairs with a softly sculpted silhouette and vaguely vintage vibe. One distinctive detail that unites all the components in the collection is the feature on the backrest which is an elegant extension of the metal legs. 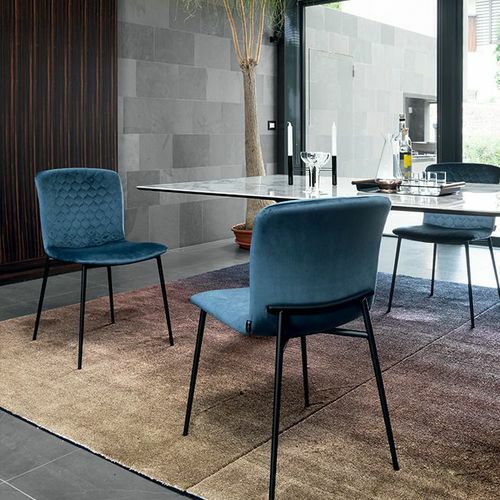 This strikingly stylish element bespeaks the unconventional design relationship between the seat in quilted velvet and the weight-bearing frame. Its yielding padding and the exquisite detailing on the metal frame make this Love chair into a piece of everyday luxury.